Here we go again! We’ve featured several COV Tempest 200W Box Mod deals already…but I still felt this was worth mentioning. If you still haven’t picked one up, head over to 3avape and take advantage of this offer before it’s too late. They’re currently selling the WHITE colorway for only $9.81 when you apply coupon code “HW10” at checkout. 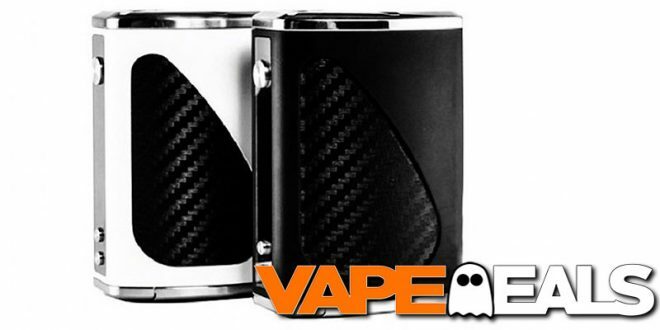 We’re talking about a triple-18650 box mod for under $10…nothing wrong with that! Just keep in mind that supply is very limited (only 22 white ones in stock). But, you can also use the same coupon code to pick up a BLACK COV Tempest 200W Box Mod for about $1.50 more. Please note: you must log into your account for the coupon code to work. 3avape offers FREE shipping when you spend $60 or more.